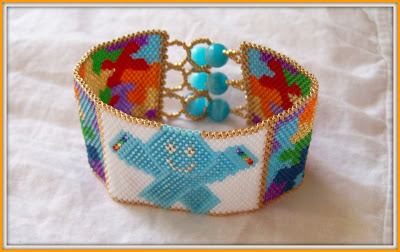 Here is a link to her site: Beading To Beat Autism. It is heartbreaking to see the frustration that victims of autism have to go through. Life is not easy for them, or their families. If you are a parent with an autistic child, or know someone who is, than you know the lengths many of these parents go to, to help their children lead normal lives. So when I also saw that Sig had graciously provided this pattern for anyone to use as long as they used it to help in this cause, I had to do it! 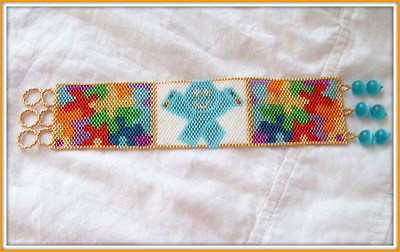 I have the item for sale in my Etsy shop and all proceeds will go directly to Beading To Beat Autism! 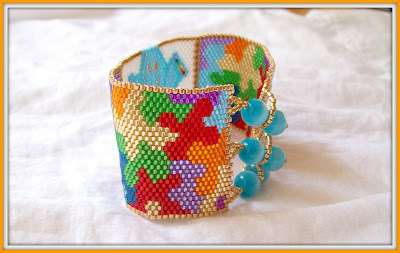 That is a really cute bracelet and I visited Sig's blog and got the pattern, I have a few friends with autistic children and they are great kids. WONDERFUL job, Amy!! 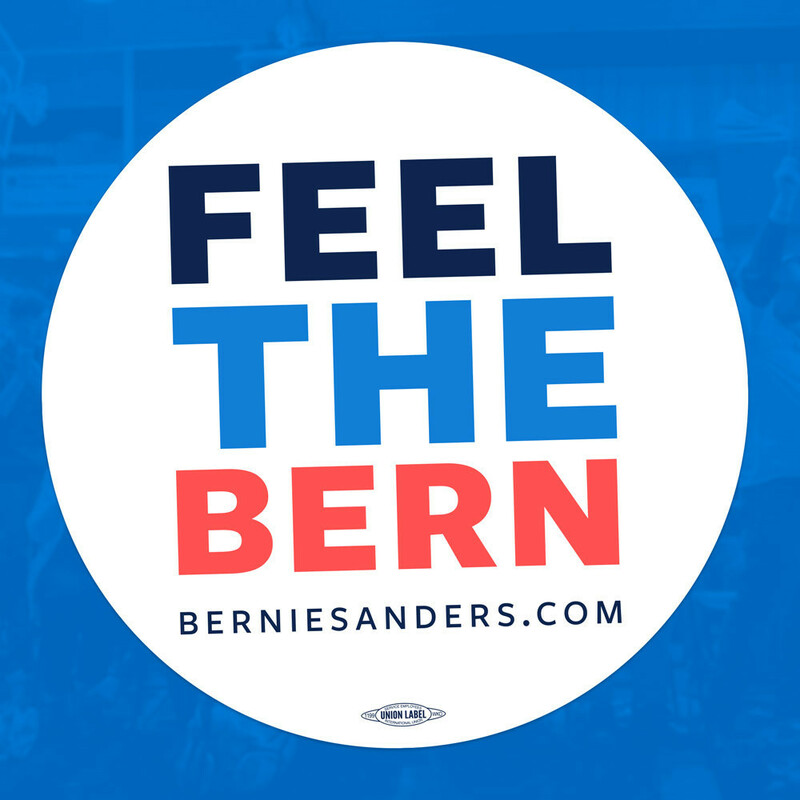 It just looks so cheerful!! 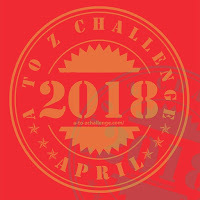 Love how you finished it! This affects me in a personal way, so I'm quite touched by this post. That is so sweet! 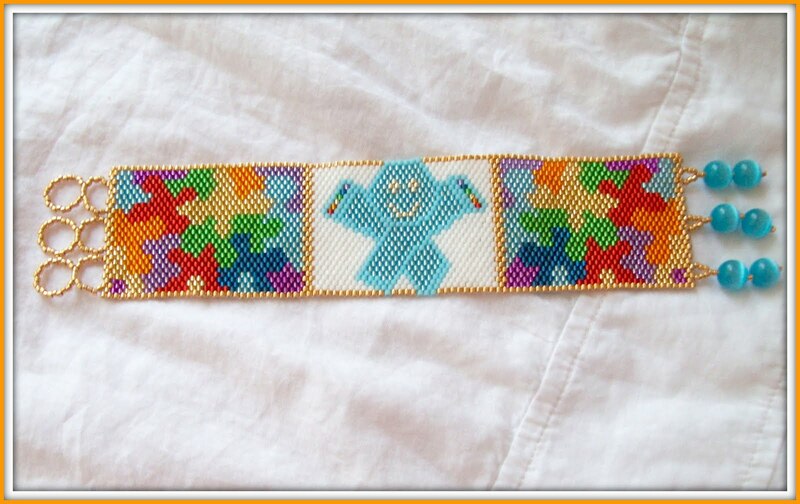 I have been thinking of trying to make something to send when things slow down around here.